A franchise is considered a less risky way to start business than building from the ground up. After all, the business model has already been put to the test and proven to be successful. Instead of having the burden of looking for suppliers and deciding what products or services to offer, everything has already been determined for you. You may even assume that every other business owner who has purchased a franchise under this company has signed a similar agreement and become successful without any known problems. Everything may seem perfect on the surface; but there are a number of areas where the slightest detail could result in your having a much different outcome from the one you expected. A Franchise Attorney Specializes in Franchising – Do You? The reality is that franchising is very complex and an agreement that may seem perfectly plausible at first glance could turn out to have hidden caveats that could cause you problems or even result in your franchise rights being terminated. For example, the use of trademarks may be limited to certain areas or products. You may be required to form a new entity in order to have the privilege of operating extensively under a trademark. An attorney who specializes in franchise law knows the different areas of importance and will recognize what needs to be done to secure your franchise rights as a new business owner. The language of law is just as difficult to interpret as any other language that you don’t speak. Never guess at what a legal agreement means! A franchise attorney not only reads and interprets these documents on a daily basis; they also create them for franchisors and franchisees. If you want to know what an agreement really says, get the services of a specialist who knows the franchise law inside and out. Attorney James E. Urmin understands how the law applies to franchise agreements and how they can be interpreted. It isn’t just the legal language of the franchise agreement that you must be concerned with. The franchise laws in some states are much more comprehensively regulated than in others. 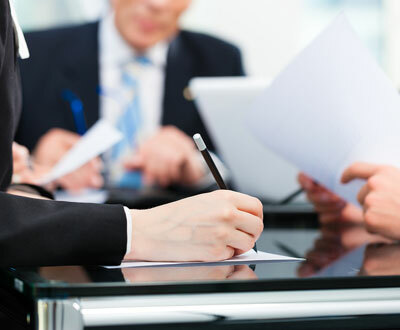 A franchise attorney who has spent years writing and interpreting franchise agreements understands every facet of franchise law for the state so they can give potential franchisors the specific concerns and needed actions they derive from the available information. You aren’t going to knowingly sign a document that says you will forfeit your life savings and start over with nothing. You shouldn’t sign a document with anyone that could end up causing you to do exactly that. A knowledgeable franchise attorney can help you reduce the risk of starting a new franchise business that you would otherwise be unaware of. You are going to be investing a lot into your new business, both financially and emotionally. Make sure you have all of your interests protected before you jump in.